We offer various learning contexts from workshops to intensive learning labs tailored to agency objectives. As a means to extend learning and put into action the practice, ongoing personal consultation is available. 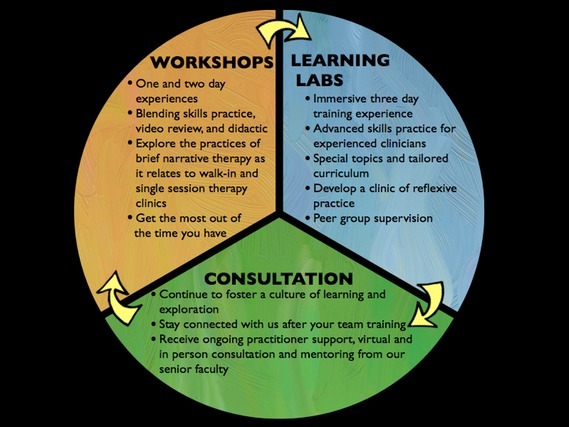 We recognize that learning and the craft of therapeutic practice requires supported rigour and reflection. At Brief Narrative Practices skill development is an on-going Project, at times difficult but also energizing. Find out more today about how BNPP can support your learning culture.